It's almost time for the Great Lakes Mega Meet in Novi, Michigan (May 8-10)! Will you be attending? Globecraft & Piccolo will be there and will have a DIFFERENT make and take each day! (Click Here to see the samples.) Be sure to stop by the booth to play with our Embossing Enamels, 3D Gels, Piccolos and Globes! 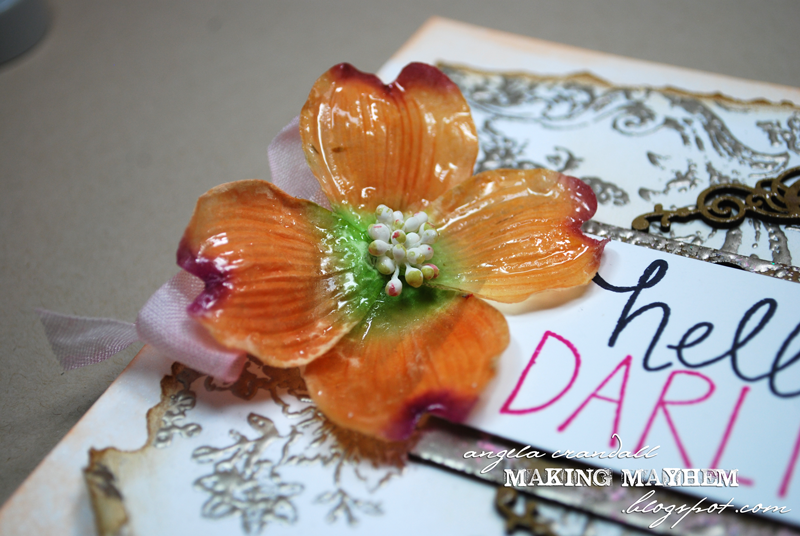 Today I have a card to share with a few fun techniques for you to try. Click the picture and take a closer look at the awesome flower! 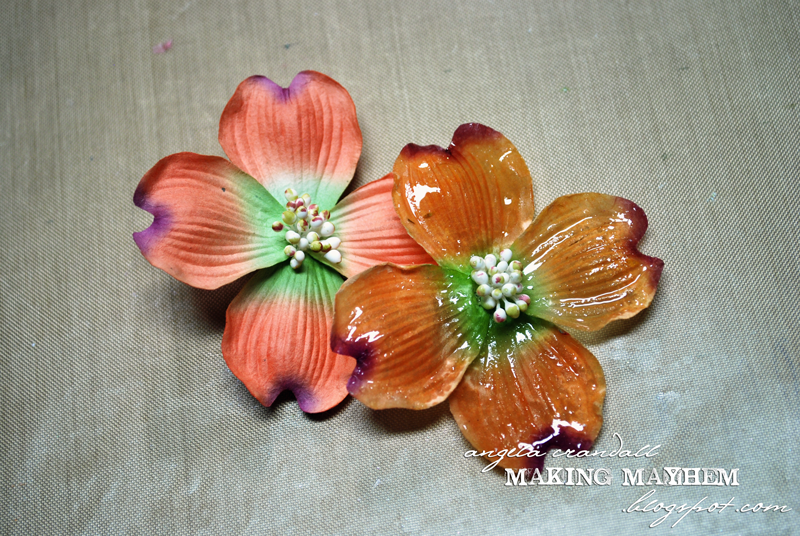 Dab the Adhesive Fluid over the flower petals. Coat with the Ultra Thick Clear Embossing Enamel. I found using a paintbrush works well to get adhesive into all the little nooks and crannies. Repeat until the petals are coated. 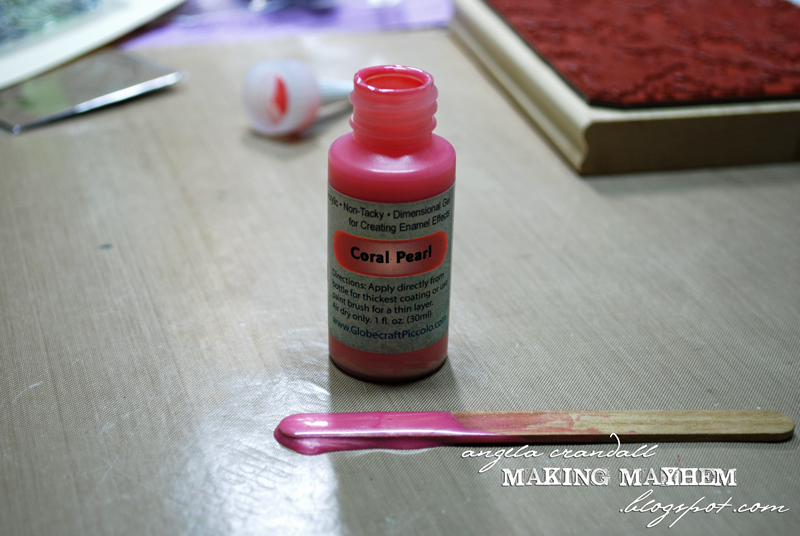 Take the Coral Pearl 3D Enamel Gel and scoop a bit out onto a craft mat. Add about the same amount of water (less if you want more color) and mix on the mat. 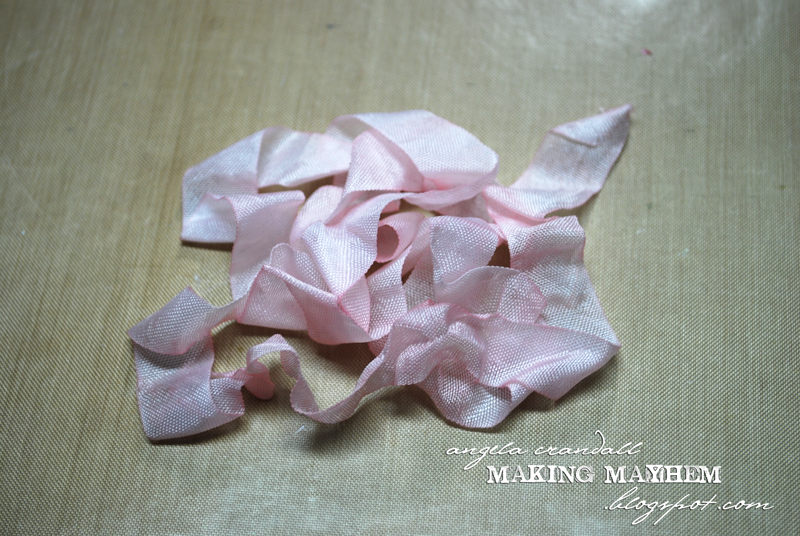 Add the ribbon, smooshing (yes, that's a technical term!) it around until it's saturated. Place on a napkin. You can dry the ribbon with a heat tool (held far away) or a hair dryer. Be careful not to get too close & melt the ribbon! The ribbon color lightens up when dry. Using the 3D Enamel Gels gives the limp seam binding some body and allows it to keep it's shape without making it difficult to work with. The background was the usual dab on some adhesive, melt the powder. 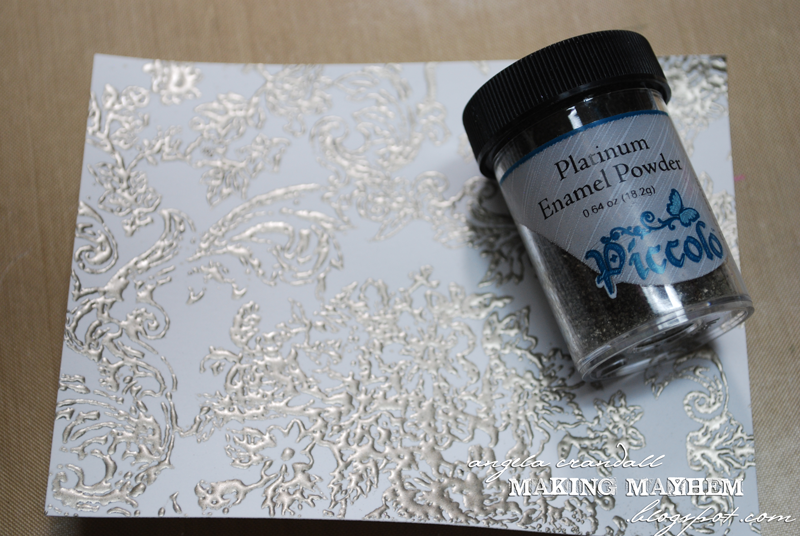 Edge the scrap piece with the adhesive and sprinkle on some Platinum and a little pinch of Poodle Skirt. 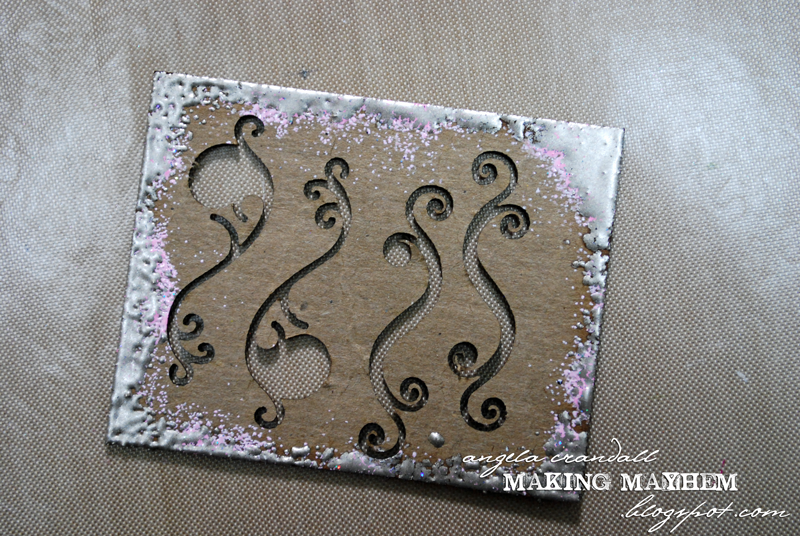 Finish up the card by layering the pieces and then using the Glasstique on top of the Accent pieces. Whew! 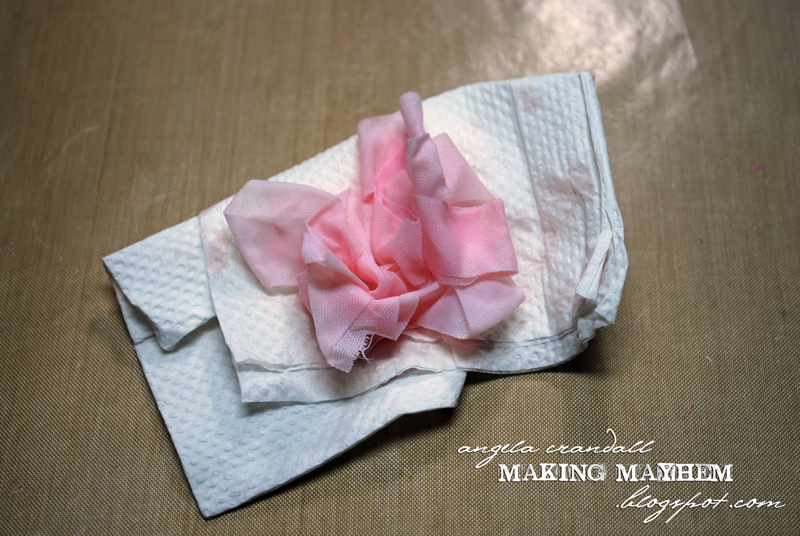 Did you try coating your flowers? I wonder what else needs a little updating in the studio... Thanks for stopping by today! See you here tomorrow for more inspiration! 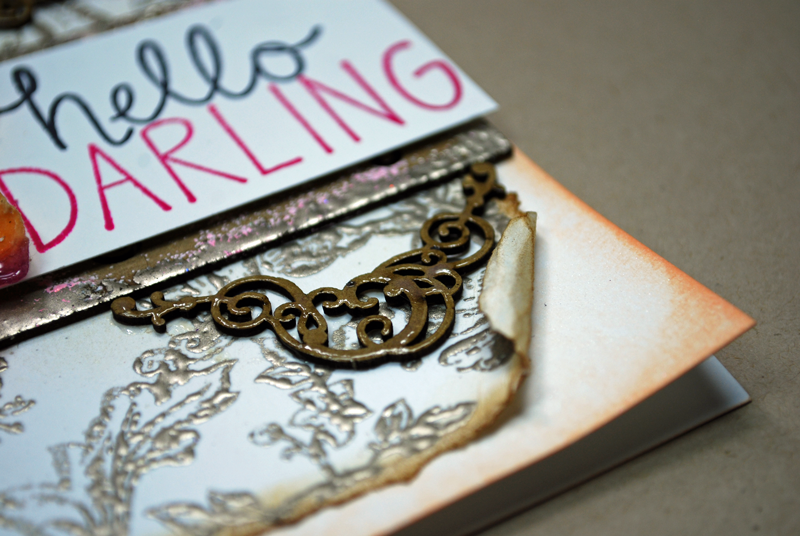 Gorgeous card, love what you did with the flower and the leftover piece from the Piccolos.